BULGARIAN YLS AWARD 03.01.2017 to 31.03.2017. 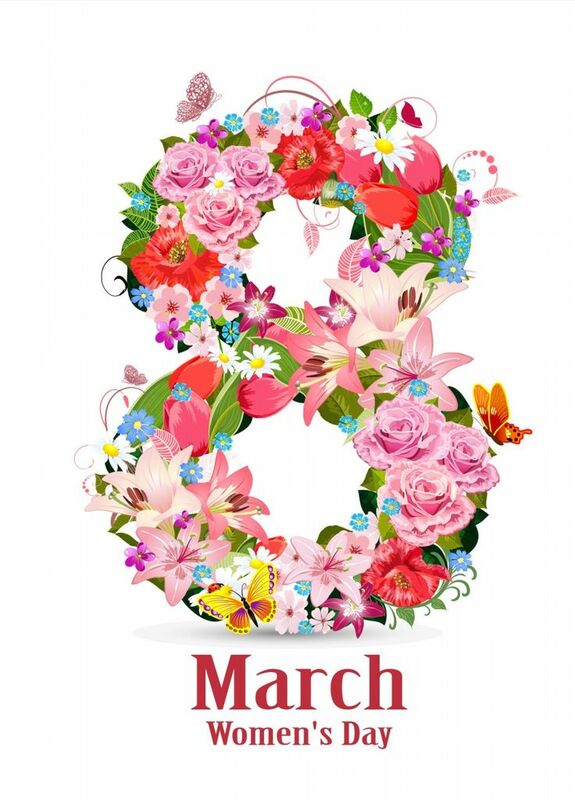 This month is all about Womens Day and this newsletter about the friendships and contacts made by Amateur Radio ladies. Our European sisters seem most active and the Dutch ladies enthusiasm is infectious. Please share events you're involved with, send feed-back and pictures, or post on Facebook. The scope of this activity is to make as many as possible contacts with YLs. The points per QSO are allocated acccording to the scheme below. All participants who submit their log will receive a participant’s award in .pdf format free of charge. We would like to encourage a large number of YLs to be active and on the air during the 4 hours of this activity. Participants from Germany should send their log to Heike, DL3HD (dl3hd@darc.de) while participants from other countries should send their log to Sophie, F4DHQ (f4dhq@orange.fr). The requests for award must be sent before May 1st 2017. The awards will be mailed by Sophie, F4DHQ after the evaluation of the submitted logs. The award ranking list will be published in the CQ DL and on www.darc.de/yl as well as in the respective amateur radio media in France. We wish all participants good luck and many successful contacts! 1) March 4th - 10am to 6pm at the "Real Fábrica da Cordoaria da Junqueira" Rua Da Junqueira, Lisboa. 2) March 8th - 10am to 5pm at the "Fragata D.Fernando II e Glória", Largo Alfredo Dinis, Almada. We will be on the 2m, 20m, 40m, and 80m, hoping to reach YL's all over the world. We invite all the YL's, Radio Amateurs, Associations and all those who want to join us in this event. Our thanks go to the "Real Fabrica de Cordoaria da Junqueira" and the NRA (Naval Radio Amateurs) for their support for an event that we hope will be positive for all the female radio amateurs. 1) Real Fábrica da Cordoaria da Junqueira, Lisboa, formerly the Royal Rope Factory manufactured cables, sisal ropes, sails and flags for the Portuguese ships. 2) Dom Fernando II e Glória is a wooden-hulled, 50 gun frigate of the Portuguese Navy. Built in Goa, India, launched in 1843 she made her maiden voyage in 1845. The last sailing warship built by Portugal and also the last ship that undertook the India Run. Named as a tribute to the king consort of Portugal Ferdinand II, and to Our Lady of Glory, a figure of special devotion among the catholic population of Goa, the ship remained in active service until 1878, when she made her last sea voyage. After being gutted by fire the frigate was towed to an area of mud-flats on the river Tagus, remaining abandoned and half buried for the next 29 years. In 1990 the Portuguese Navy decided to restore her. Part of the Naval Museum display, she was a major attraction during the Expo '98 which marked the 500th anniversary of the discovery of the sea route to India by Vasco da Gama.. The International Register of Historic Ships considers the Dom Fernando II e Glória as the fourth oldest armed frigate, and the eight oldest sailing warship in the world. Celebrated by YLC (Chile) over the weekend 11–12 March on 40m, SSB phone. The objective is to encourage participation and friendship between All Radio Amateurs, particularly the Ladies. Starts: Saturday 11 March 2017, at 13 Hrs UTC (10:00 hrs. Chile). Ends: Sunday 12 March 2017, at 22 Hrs UTC (19:00 hrs. Chile). For more information visit www.ylc.cl, which will be updated each week with received logs. Award “MARCH WOMANS MONTH- 2017" is established by amateur radio club of Plovdiv (Bulgaria), and is dedicated to female hams of the World. During the period from 03.01.2017 to 31.03.2017. All modes, all Bands. Multiple contacts allowed. Every Thursday evening at 20:00 (8pm) USA Eastern (0000 UTC Summer and 0100 UTC Winter). We invite all YLs from around the world to join in, so please tell your YL friends and club members to join us each and every Thursday! Connect to the net on Echolink through the ALARA Conference Server, Node 286905. Join us in the Do-Drop-In Chat Room during the net - all you need is a web browser and you're in! Sign in using your callsign-name in the first field (ignore the second one) and click Login! Thanks to the Australian Ladies Amateur Radio Association (ALARA) for the use of their Echolink Conference Node; and to the North Fulton Amateur Radio League (NFARL) for the use of their chat room and linked repeaters so many others can enjoy the net. OMs are always welcome to listen, but we kindly ask that only YLs check into the net. St Patricks Day Celebrating On Air: The event runs over the full 48 hour period over the 17th March worldwide (12 noon on the 16th March to 12 noon on the 18th March UTC) As each timezone starts and ends the day at different times, the event runs for 48Hrs to give each area of the world a chance to make contacts. The St Patrick Day Award is fun non competitive on air celebration of St Patricks Day. Saint Patrick's Day is celebrated in more countries than any other national festival, on 17 March the traditional death date of Saint Patrick (c. AD 385–461) Patrick was a 5th-century Christian missionary and bishop in Ireland. The foremost patron saint of Ireland; Saint Patrick's Day is a public holiday in the Republic of Ireland, Northern Ireland, the Canadian province of Newfoundland and Labrador, and the British Overseas Territory of Montserrat. It is also widely celebrated by the Irish diaspora around the world, especially in Great Britain, Canada, the United States, Argentina, Australia, and New Zealand. Posted on 24/06/2016: Today the biggest European fair for Hamradio started happening. Five members of PI4YLC, the contes tteam of the Dutch Young Ladies Club, are in Friedrichshafen-Germany visiting the fair: Mariëtte PA1ENG, Lisa PA2LS, Chantal PA5YL, Ineke PD2CWM and Claudia PD5AX. It’s a great opportunity to meet Hams from all over Europe. We talked to several YL’s from the DARC-YL-referat and some top-grade contesters like Irina DL8DYL and Sandy DL1QQ (WRTC 2018). We also visited the French YL’s and met Christine F4GDI and were able to catch up with Andreja S56B and Klara HA5BA. 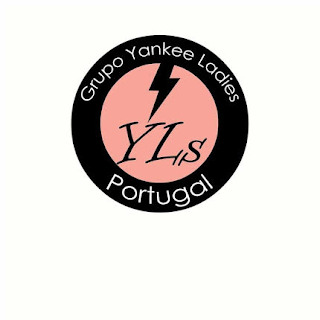 Tomorrow we will attend the YL-meeting, organised by the DARC YL’s. Posted on 30/06/2016: HAM Radio 2016 is over and we look back on a fantastic weekend filled with meeting old and new contacts. There were very good foodcondx with cake, homemade cappuccino, ice cream and dinners in restaurants. This combined with the warm weather and the Bodensee (lake next to Friedrichshafen) turned the long weekend into a small holiday. We very much enjoyed the several useful contacts and ideas for (contest) activities and had a lot of fun. We thank everyone who has contributed to our very positive experience. We managed to take a picture in front of the HAM radio 2016 QSL wall with the YLs of PI4YLC and our future team member. 25 March SDR workshop in Cape Town.